We promise you a 100% satisfaction guarantee on your clean for carpets, rugs, fabric and leather upholstery, curtains and mattresses in Old Basing, Chineham, Hook, Odiham, Oakley, Hatch Warren, Bramley, Kingsclere, Tadley, Overton, Hartley Witney, Sherfield On Loddon, Herriard, Winslade, Chilton Candover and Newnham. To get started we need to give you a quote. Quotes are free and you're under no obligation. 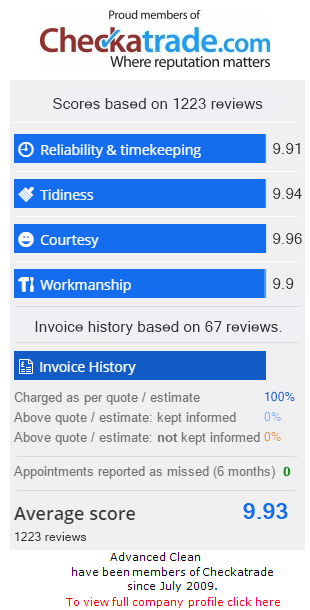 We can give indicative costs over the phone, but it's best to organise a free home visit so we can discuss the most appropriate cleaning approach give an accurate fixed cost. We promise you a 100% satisfaction guarantee on your clean. Keep reading to learn about our other service promises to you. Being members of the National Carpet Cleaners Association (NCCA) means we don't just follow their code and best practise guidelines. We strive to excel. We are knowledgeable because we've passed thorough NCCA training. Combine this with our wealth of experience and we give you all the expertise needed to do an excellent job. You'll find us caring, polite and friendly too, because you are, after all, inviting us into your home. So if you live in Kingsworthy, Alresford, Sparsholt, Twyford, Sutton Scotney, Stockbridge, South Wonston, Littleton or Micheldever, we'd love to hear from you to give you your free no obligation professional cleaning quotation today.